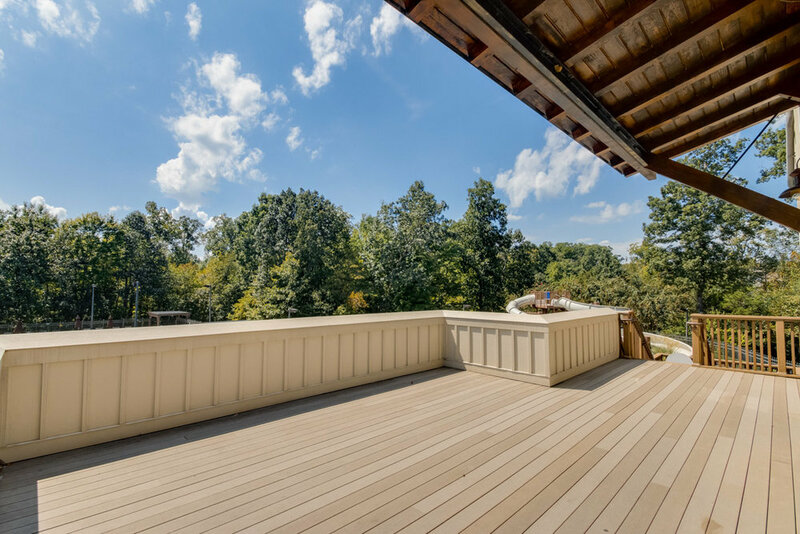 Lawson amenities include resort style pools that are fun for the whole family. 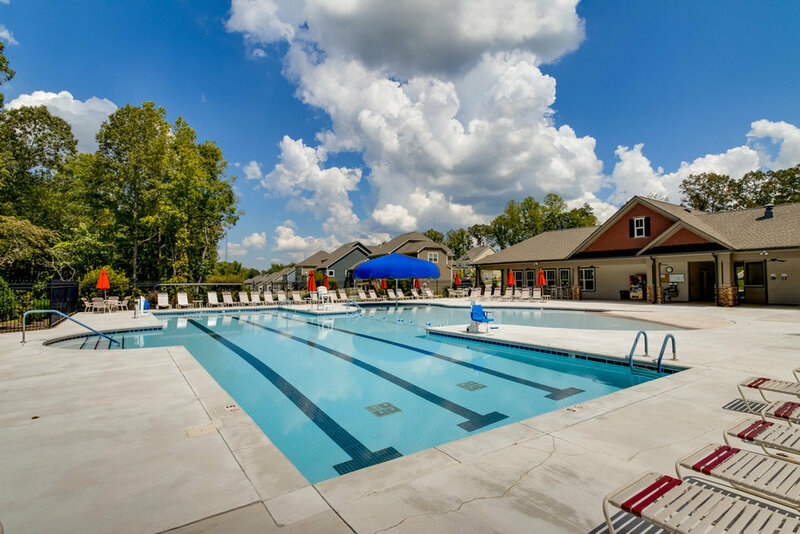 The community features two Olympic size pools as well as an easy-entry, kid-friendly pool surrounded by lounge chairs and umbrellas, a kids’ splash pool and play area and a shaded cabana equipped with bathrooms and picnic tables. The Lawson Amenities & Pools Committee in cooperation with Trident Pool Group are happy to announce that we will be offering swim lessons at the Lawson Pools this summer season. 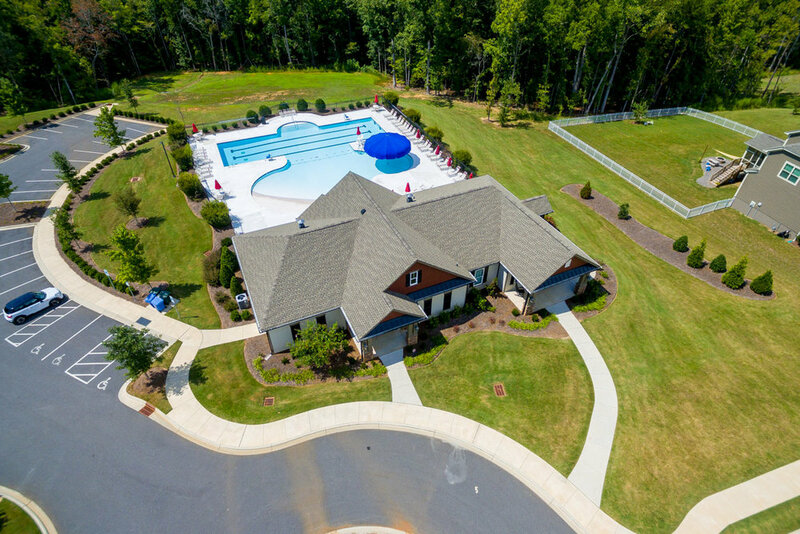 Trident Pool Group will provide the instructors and handle all of the schedule coordination for the HOA. 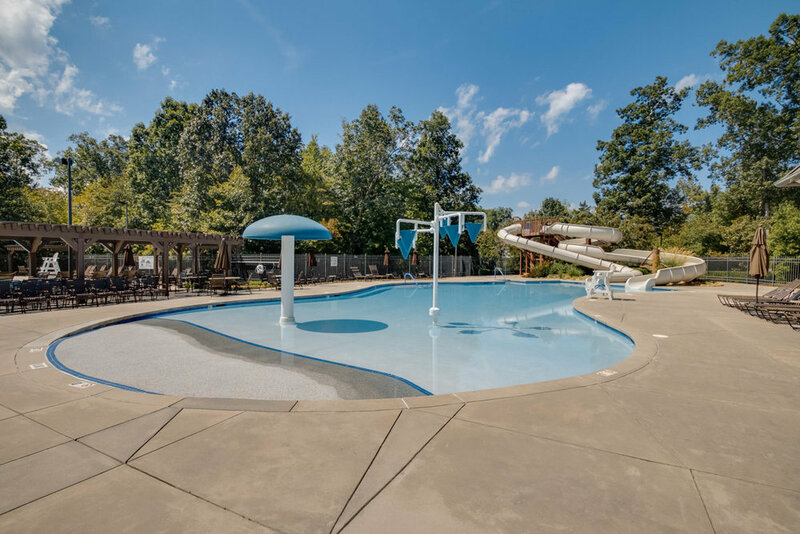 The lessons will be held at both the Mill House Pools and the Five Forks pool based on pool availability, especially during swim team practice times. “Learn To Swim” swim lessons is a BRAND NEW program from the ground up for 2019. We are also thrilled to have a very our Lawson Resident Head Instructor and a team of instructors to help your new or experienced swimmers learn and enjoy swimming! Swim lesson at Lawson Pools exclusively for Lawson Residents Only. Minimum age for lessons is 2.5 years old. The Lawson Pools can host two types of resident parties: Non-Private and Private. A Non-Private Event can be held during pool hours, non-exclusively, but has a limit on the number of guests. A Private Pool Event can be held after normal pool hours (excludes Fridays & Holidays). All Rentals Requests must be submitted Trident Pool Group and Braesael Management prior to the event no less that 2 WEEKS (14 Days) in advance. Both Pool Amenities can be rented for events, but the Five Forks pool has limitations; please see the Rental Agreement below. Lawson Residents Only: If you’re interested in renting the pools for an event, please fill out the Lawson Pools Rental Request Form or contact Braesael Management. Each Lawson Residence will receive a copy of the 2019 Pool Rules & Policies soon. Tap or click to add the Lawson Pools Calendar to your calendar. 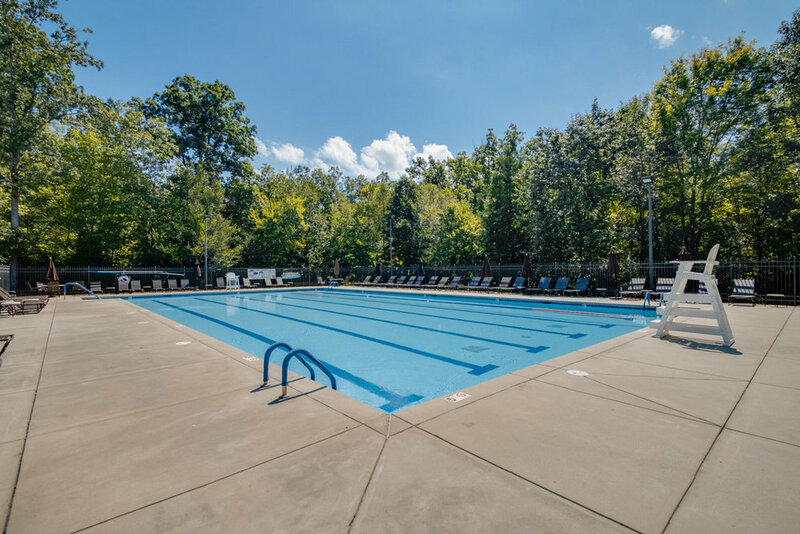 The Pools at The Mill House - May 10, 2019 through September 15, 2019. Lawson Sailfish Swim Meets: The Mill Pool will be hosting meets for our Lawson Sailfish Swim Team on the following dates. The Mill Pool will close at 4:00pm on these dates, but the Five Forks Pool will remain open. 2019 Dates are currently TBD and will be communicated via email, social media and bulletin boards at the pools. The Lawson Sailfish operates independently of the Lawson Community Association. 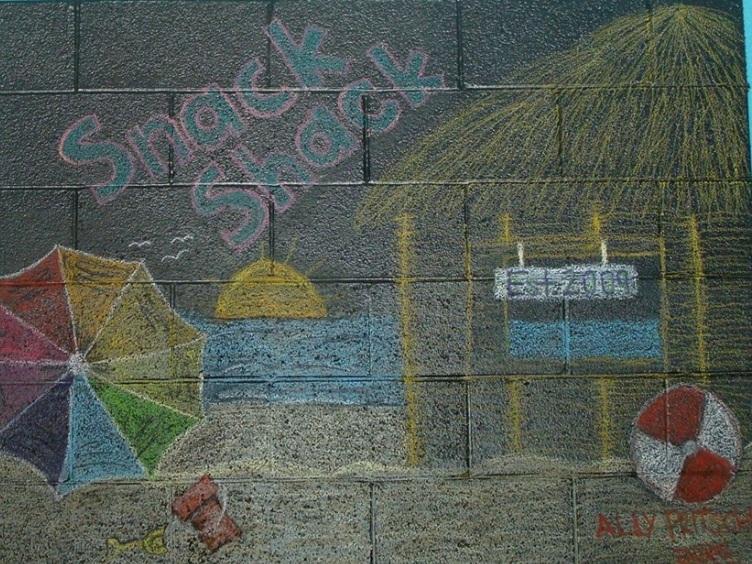 Be sure to Like the Snack Shack on Facebook for periodic onsite updates including weather updates or closures. The Snack Shack is operated independently of the Lawson Community Association.